Purpose: The aim of this exploratory research is to shed light on the characteristics of Small Business enterprises (SBes) in the United Arab Emirates (UAE) when selling their products in the local rather than foreign markets, also discusses challenges from the viewpoint of the family member who is the enterprise’s manager or who is involved in management. Design/methodology/approach: The data was collected by a questionnaire, the content of which reflects the research objectives (Appendix 1). The Chamber of Commerce regulation was used for the study incorporating any enterprise employing no more than 50 employees with 75 enterprises representing the sample of the study. Direct interviews were made to distribute the questionnaire that was collected later within a period of time accepted as convenient for the respondents. Only 61 firms returned their forms and these forms were used in the data analysis representing an 81% response rate that was sufficient for exploratory research and that was acceptable statistically. Findings: It was concluded that Knowledge to Compete, Satisfying customers, Managing Finances Effectively, More stable markets were found to be important motivations factors in their activities in the domestic market. The researchers concluded that there were no negative effects as a result of cultural issues on a firm’s intent to go global; but Time management, Lack of Motivation, Global standards, The right alliances, Lacking knowledge about foreign markets, Financial difficulties/Cost, Competition level abroad and Lack of logistics, are key influences negatively impacting on the ability to sell abroad. The researchers concluded that High quality products, Competitive prices, Managerial skills and experience, Management commitment and Financial resources adequacy, are the main reasons for seeking to sell in domestic markets. What is original/value of the paper: The value of this exploratory research is to shed light on the characteristics of SBEs in the UAE when selling their products in the local rather than foreign markets, also discusses challenges from the viewpoint of the family member who is the enterprise’s manager or who is involved in management. It offers suggestions to manage these enterprises effectively and profitably. Research limitations/implications: Our research provides an insight into small enterprises venturing into domestic marketing in the UAE. Therefore, research in the Gulf States may provide additional information on the economic situation of enterprises in these countries. Additional research could focus on enterprises providing services for export activities. Reference to this paper should be made as follows: Alrawi, K., Alrawi, A. and Alrawi, W. (2015) ‘Challenges in Managing Small Business Management in UAE: Sustainability of Development and Success’, Int. J. 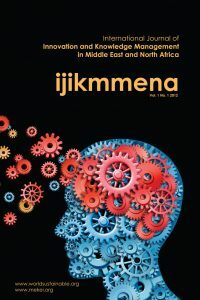 Innovation and Knowledge Management in the Middle East and North Africa, Vol. 4, No. 2, pp.95-107.